Home » Fleet Graphics » I’ve Chosen Custom Vehicle Graphics. What Do I Need to Know? 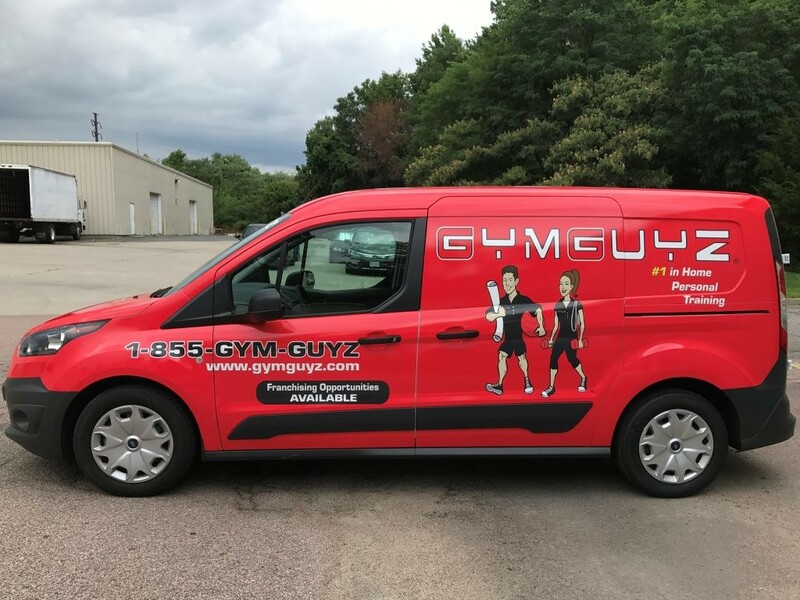 Whether you’ve chosen a full vehicle wrap, partial wrap, or the Traxx™ changeable graphics system, you obviously know fleet graphics attract the attention of not only your customers, but all your prospective customers. There’s no better way to deliver your brand message than through custom vehicle graphics on your company’s fleet vehicles. So now what? How do I prepare? What do I need to do? How long is the process going to take? You have questions. We’ve got answers. In the next few paragraphs we’ll walk you through what you need to know about preparing for your fleet graphics. What’s the process for designing my wrap? We have an extremely talented, full service design team here to help you. We offer pre-press services, which are best for companies with their own graphic designers. In this case, we’ll provide your designer with instructions and templates, making the process quick and easy. For companies without an in-house graphic designer or print ready artwork, we’ll set up a meeting to walk you through the details of creating a design message that fits your marketing goals. Do I need to prep my vehicle for installation? Surface preparation is important to ensure proper bonding. Dirt and grime need to be removed prior to installation. Your vehicles should be washed the day before the scheduled wrap installation date. It’s important that no wax, Armor All, or Tire-Wet/Tire Shine be used. These types of products contain chemical compounds that will not allow for proper adhesion of vinyl graphics. Where will the installation take place? We cover North America, so the wrap installation can take place at any of our five facilities, at your location, or an installation site convenient to you. All installations need to take place in a controlled, indoor facility, ensuring your scheduled fleet graphics installation isn’t at risk of cancellation due to weather concerns. Your assigned project coordinator will work with you to secure and coordinate the best possible location and facility for the installation. We realize you need your company vehicles on the road generating revenue so we work diligently to provide you with the quickest turnaround possible. If you drop your vehicle off to us by 5 p.m. the day before the scheduled wrap installation, your custom vehicle graphics will be installed and ready for pick up by the end of the install day, guaranteed by noon the next day. Please keep in mind there are variables that may extend this process, which include but are not limited to, fleet graphics removals, dirty vehicles, or difficult wrap installation projects (e.g., recreational vehicles). You’re now ready to get your company’s fleet vehicles back on the road taking advantage of your new mobile billboards! Do you have a large fleet spread out across North America?